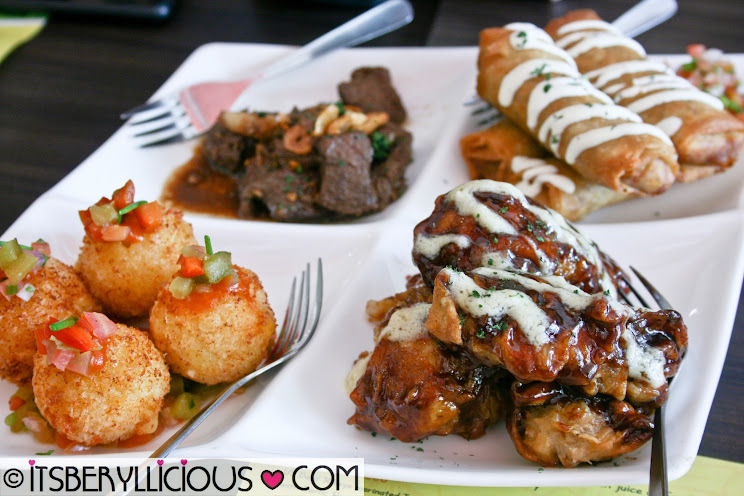 Giveaway Alert- It'sBeryllicious x Naci Comfort Food Father's Day Buffet Special Giveaway! Father's Day is fast approaching and I'm pretty sure most of you are already thinking on where to bring dad on his special day. It is the time of the year when restaurants get packed with families dining in to celebrate this wonderful occasion. 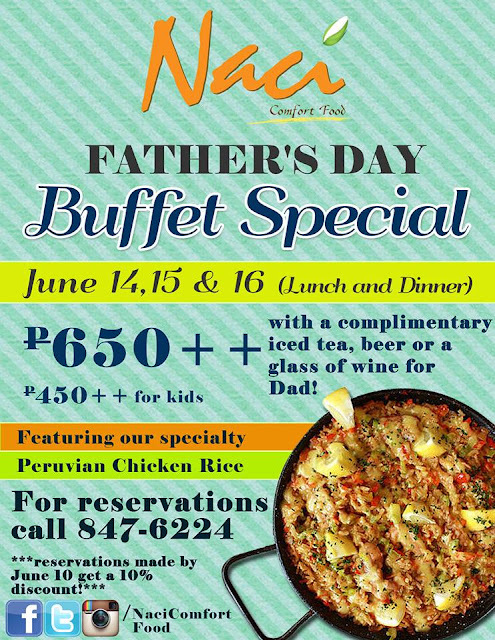 Naci Comfort Food in Fort Bonifacio is coming up with a Father's Day Buffet Special on June 14, 15, and 16 (Father's Day) for lunch and dinner. For some of you who's not yet familiar or haven't tried Naci, it is a fairly new restaurant in Fort that serves comfort food with a twist. Check out my previous review of Naci here. And for their Father's Day buffet, they will be serving sumptuous dishes that will surely be enjoyed by the whole family. The buffet will feature their specialty Peruvian Chicken Rice which is slow-cooked baked rice w/ chicken chunks, capsicums topped with aioli. It is a play between risotto and paella texture, with creamy and tasty flavors. Other dishes included in the buffet are Glazed Chicken Wings-my personal favorite from their appetizers, Creamy Lengua, Fish Fillet ala Naci, Garlic Rosemary Chicken and two special dishes-Pasta Arrabbiata and Crown Roasted Pork w/ Stuffing. Plus, all fathers availing the buffet will also receive a complimentary glass of their freshly brewed iced tea, beer or wine. If you reserve now until June 10, you will be entitled to a 10% discount from the regular buffet rate. Now here's the best part of this post: Our good friends from Naci are giving away FOUR (4) Father's Day Buffet Special Passes to one (1) lucky reader who could treat his/her family to lunch or dinner at Naci this coming Father's Day. ~I would love to treat my great dad!